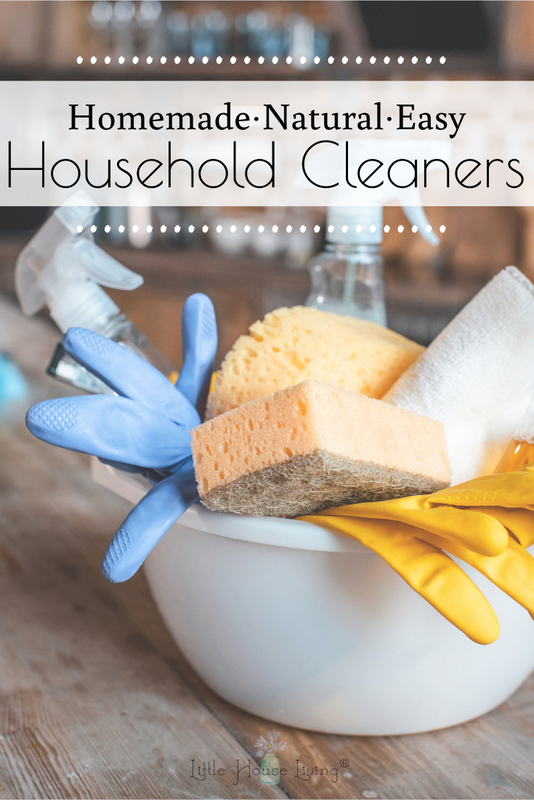 Learning how to make your own homemade cleaners is a handy and beneficial skill to have. Not only will it save you money, but you’ll also know that what you’re using is all-natural and safe for you and your family. Plus, homemade cleaners are an easy DIY project that anyone can learn how to make. Most homemade cleaners revolve around a few simple, all-natural ingredients, many of whim you probably have on hand already. White vinegar, baking soda, dish soap and essential oils go a long way when it comes to cleaning your home. It’s a wonder why anyone ever began using the toxic chemicals most people use in their homes today! So if you want to get started making your own all-natural homemade cleaners that work just as good (if not better) than their store-bought counterparts, grab these ingredients from your pantry and try out the following DIY cleaner recipes for every corner of your home. 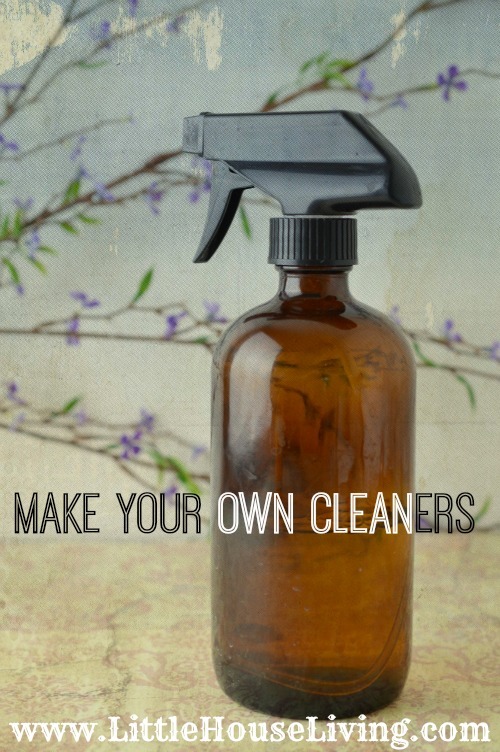 I first started making my own homemade cleaners to save money. I think making your own cleaners is kind of frugality 101! It’s so cheap and easy, not to mention better for your health. Plus I’ve found that my recipes for homemade cleaners work just as well as any of those that I’ve bought from the store. Here are some of my recipes for homemade cleaners. If you have special recipes for homemade cleaners you make, make sure to share your recipe in the comments section! Mix everything together in a spray bottle and shake. Spray on countertops, tabletops, porcelain or floors. I even use it to clean the spots on the carpet! Just don’t use on any marble surfaces as vinegar stains marble. I usually also add in a little grapefruit, lemon or orange essential oil to cover up the smell of the vinegar a little better. Mix in a spray bottle and shake well. Spray on windows, mirrors, glass doors, etc. For a streak-free shine, try using newspapers to clean windows instead of paper towels. If you’re afraid of getting ink on your hands, just wear gloves. Mix together in a bowl and use a rag to rub it onto wooden surfaces. Make sure you test on a small area first. To help remove tough water rings, try rubbing a little mayonnaise on it first. First sprinkle a little baking soda down the drain, follow it with the vinegar. The vinegar causes the baking soda to react (or visa versa) and the mixture will foam up, sort of like homemade Drano, except way better for your health, your wallet and the environment. This Homemade Drain Cleaner mixture can also be used to remove stains and smells from the carpet, just make sure you test on a small area first. Mix baking soda and dish detergent together. Add distilled white vinegar, just a little bit at a time, to make a runny glue-like texture. Paint or brush onto caked-on greasy surfaces and let sit for 15-30 minutes. 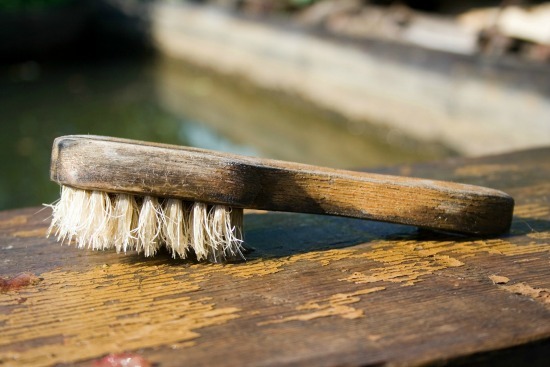 Using a brillo or scouring pad, dip into water and then scrub treated surfaces clean. Rinse with water. Put in 4 cups of White distilled vinegar and perk. After done perking, fill entire decanter with water and reperk to rinse. Cleans amazingly and removes built up coffee residues! To clean a regular drip coffee machine, dilute the vinegar with an equal part water and pour in the coffee maker. Make sure all old grounds are removed. Then run the coffee maker as if you were brewing a regular cup of coffee. Once the cycle is done, dump the pot of vinegar water, rinse it out, and then fill with water. Pour the water in the coffee maker again and run it once more to clean out any leftover vinegar residue. Which homemade cleaner will you try first? Do you have any of your own special recipes or tips for making or using homemade cleaners? If you’re looking for a wonderful source for oils, I highly recommend Rocky Mountain Oils. After careful consideration of all the companies selling essential oils, I’m happy to share that Rocky Mountain Oils has become my main source of oils for many different reasons. 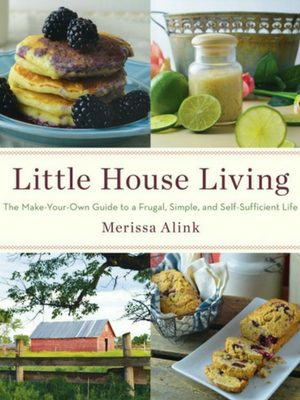 If you love these recipes for Homemade Cleaners you will absolutely love my book, Little House Living: The Make Your Own Guide to a Frugal, Simple, and Self-Sufficient Life. It features 130 recipes just like these that are perfect for your household! Which homemade cleaners do you already make? 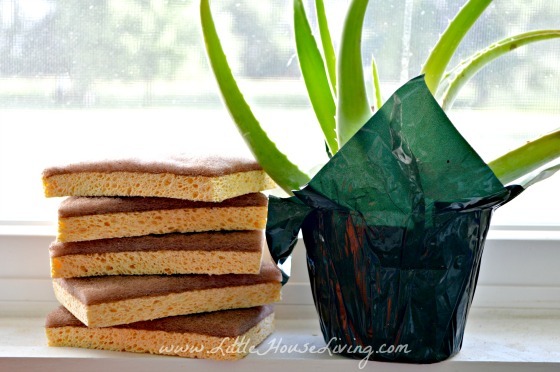 This blog post with DIY Recipes for Homemade Cleaners was originally published on Little House Living in May 2011. It has been updated as of February 2019. Very awesome! I was just thinking last night of how i could make air freshners! you have any suggestions or recipes for this? something that lasts when sprayed??? That reminds me…I had a recipe for a natural air freshener that I was going to post sometime. I will put it up on my ideas board and get it posted! 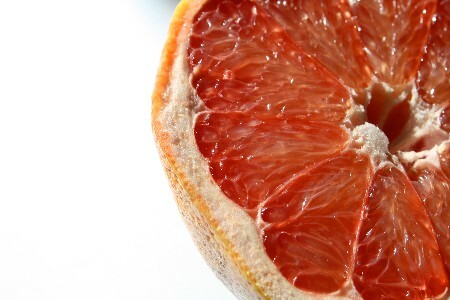 take a orange cut it in half take out the inside fill the the shell with salt put out of reach of children and its a fresh orange sent that filters through the room!!!! Here’s the air freshener spray I use all the time. It doesn’t really have a scent, but you could add essential oils if you wanted. I find that it just leaves everything smelling clean and fresh so it’s more of an odor neutralizer. In a pan combine 2 cups water and 1/8 cup baking soda. Heat, stirring, until baking soda is dissolved and mixture is clear. Add 1/2 cup lemon juice. Be careful it will foam. Cool slightly and pour into a squirt bottle. Shake before each use. One note – this can leave a white film on surfaces, so be careful where you spray it. I usually make a new batch every week or so. You may need to occasionally run the nozzle of the spray bottle under warm water to remove any build up. Here’s an alternative window cleaner. Yep. That’s it. It works amazing! And it’s totally okay when it goes flat, so you could purchase a large 2-liter bottle and just save it. I also use two rags when I’m cleaning all the windows in the house. One for scrubbing and then the next to finish wiping dry. Even though I’ve been making my own cleaners for years, I’m still amazed at how well they work. That stuff makes a fantastic heavy-duty cleaner, too, when the vinegar cleaner isn’t quite enough. We use Kirk Castle soap instead of the Fels Napha. It cost the same (sometimes a bit cheaper) the ingredient list is way shorter! Plus NO chemicals. Which is the main reason we make our own laundry soap. Not to mention super cost effective! Question: I have some of those Bath & Bodyworks aromatherapy massage oils. Can these be used in place of essential oils? Do these cleaners need to be refrigerated? Thanks! I’m not sure of the ingredients in those so I would be wary of using them in cleaners (they might stain). I love to use Hydrogen Peroxide to clean the bathroom. it is just as good as bleach on bathtubs and toilets. and kills mold better than bleach. It is also better on the septic system than bleach. use with a little essential oil for a clean scent. Oh I almost forgot the coffee POT. i used to work in a college cafeteria and we use a simple trick. add a good handful or two depending on the size of the pot but enough to cover the bottom of ICE. Thats right ICE. a few table spoons of LEMON JUICE and a few table spoons of SALT shake the pot vigorously. fill just under half with water (with the ice and juice salt mixture) and shake again. Dump everything out and take a clean cloth rinsing the pot and all of the build up wipes off. great for glass pots and stainless steal. Help!! I’m looking for ideas to clean the stinky carpet in my new-to-me, quite old, stinky suv. It’s very winter here and my small town does not have the car wash “shampoo/vac option”. You might want to try this recipe for Homemade Carpet Cleaner. Do u have a homemade laundry detergent recipe? I make my own air freshener. I take liquid fabric softener and pour a couple of caps in a large spray bottle and fill the rest with water. Shake it good and spray it on the beds, in the closets, carpet, curtains, rugs. Where ever you want it. It doesn’t stain and the house smells great. So useful post! I prefer using natural product while cleaning but they are very expensive. Thanks for giving all of these home made cleaning recipes here! Regards! Blackfen Carpet Cleaners Ltd. I love using natural cleaners! I also love the money I save not going into the cleaning aisle at the grocery store. 🙂 I have a much-loved, popular name brand cleaner (not sure if I can use its name online!) I bought for $1 with sales and coupons. You spray it on a hard surface and wipe off for cleaning, let dry for deodorizing. It’s almost empty and I don’t want to buy it again, even though I love it. Might the All-Purpose Cleaner have the same effect? I do know this name-brand cleaner has thyme essential oil, which I could easily add to the homemade version instead of Tea Tree. Just curious. 🙂 Thanks for your awesome household hints! Thank you for your article! You’ve just inspired me to clean my oven. I don’t want to clean it with harsh chemical products because this is a kitchen appliance and that is the place where we cook our food. I’ll definitely try your recipe asap! Have a nice week! Hey, i want to share my favourite recipe for non-toxic carpet cleaner! Mix equal parts vinegar and baking soda until it forms a thick paste. Dilute with warm water until the mixture becomes a thin liquid and then scrub it into the stain using an old toothbrush or sponge. Pour club soda directly onto the stain and allow it to sit for 3 to 5 minutes. Then scrub with an old toothbrush or sponge. P.S. Thank you for sharing your recipes, I’ll definitely try them soon! Lots of great ideas to try. I have a big spider problem in my flat and I love the idea of a homemade cleaner that may help to repel them at the same time. Do you need to Store the cleaner in a special way? How long does it keep/last or just as long as it takes to get through it? All good tips/recipes for cleaning. I’m bookmarking this page, great list! I’m also very leery of commercial cleaners. I have littles in the house and don’t want to add to the toxic load if I can avoid it. This is such a VALUABLE post! All of these natural cleaners in one place?!? How awesome is that? You even listed recipes for cleaners I would never think to buy such as the disposal cleaner. So awesome. 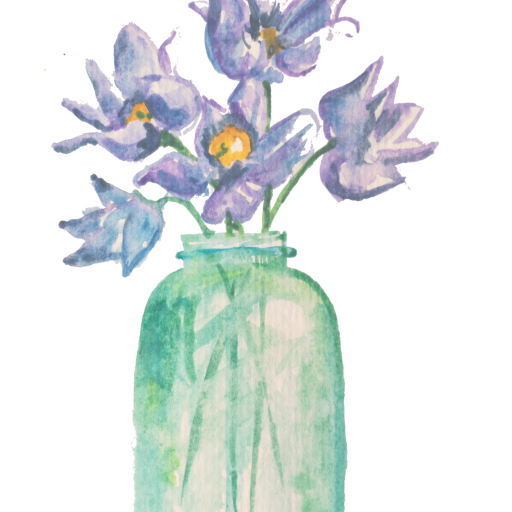 I love this blog as this focuses more on the home living and DIY crafts. Very interesting. I would like to try this out. A very insightful post. Thanks for the info. I just found this blog and have high hopes for it to continue. Keep up the great work, its hard to find good ones. I have added to my favorites. The information you have posted is very useful. Fantastic piece of writing here. The sites you have referred was good. Thanks for sharing…this site has always been pleasant news. for the drain cleaner I use if its really blocked 1/4 cup of Bicarb [baking soda] and a 1-2 cups of very hot vinegar. Put the bicarb in the drain slowly then pour in the vinegar carefully and put the plug in and hold it there. You will hear it blubbling away then run hot water down the plug hole and if it hasn’t compeletely cleared a but repeat. Thank you Merissa, this is a great list. I’m always on the look out for natural homemade cleaning solutions having 3 young girls at home. Which cleaner are you looking to make? I tried this recently. I squeeze a lot of lemons so I have a lot of peels. I decided to try this. I use a serrated knife to grab the remaining fruit and pulled it off, leaving only the peel. I stored them in the freezer until I had enough to fill a mason jar then did just what you said. But in a matter of days, the vinegar began to darken in color, and after 2 weeks it was a burnt orange color instead of a nice yellow color. Any idea what went wrong? Thank you Merissa, this is a great information in the list form. I read your post and the information you have posted is very help full for everyone. Good job. Oh cool! I do most of those, but hadn’t done the furniture polish or the mayonnaise tip. I’ll have to try them. Thanks, Merissa! These homemade recipes are safer to use, gladly I’ve read your post. Got the ideas on how to make these, thank you so much for the recipes and for the ideas. Excellent work indeed. Cleaning is quite important – especially for the home or any living place where you spend your quality time. Not only me every one like a clean environment as I am an office guy – the whole day I work under pressure which suks my mind but when I reached home and see my clean house my all tiredness runs from my mind. Currently, I am living in Dubai and owning an apartment where I am living so I have to clean it by my self I mostly use a cleaner that helps me a lot to make my room allure. that 1-day cleaning makes my whole week livings good.